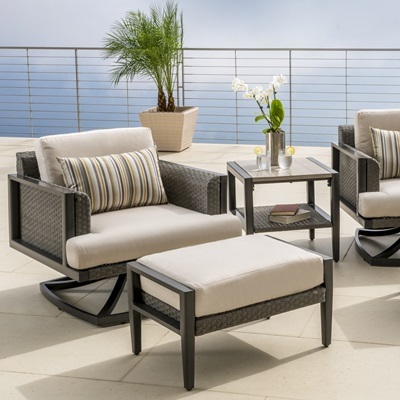 Gather around with your friends and family on the deluxe 7pc motion seating set, featuring comfortable seating and ample space. 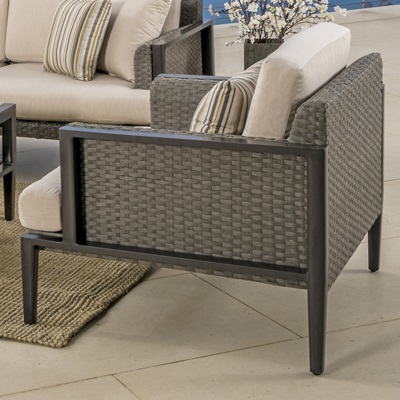 The Vistano Collection is designed with clean lines and elegant weaves to create a classic look that will stay with you for years. Rest on the sofa and club chairs with an ottoman to kick back on, while keeping items with in reach with our stone top coffee and side table. 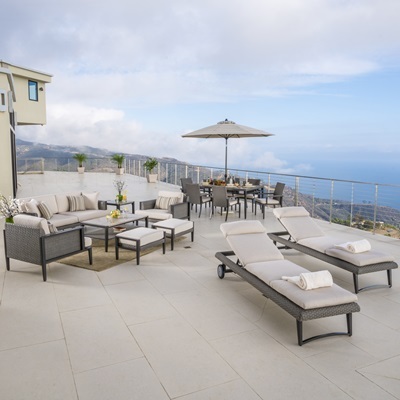 For a piece that can withstand the elements and provide you with years of comfort, look no further for the perfect addition to your outdoor patio. 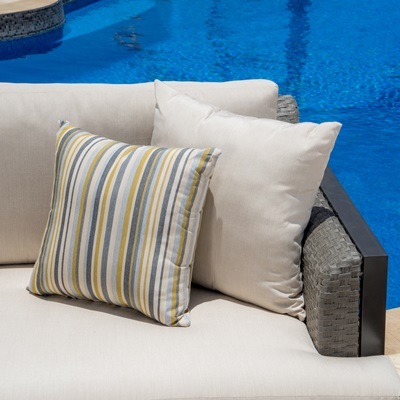 Plush 6-inch, high density, quick drying outdoor cushions are featured in a Canvas Flax Base with coordinated Catalina Tinsel accent toss pillows with contrast piping.